jess at home: craigslist find! My husband...yes husband.... found this little beauty on craigslist. It is a Hickory Chair James River sideboard. Now I just need a mirror, lamps, drapes, and chairs and this room will be complete! 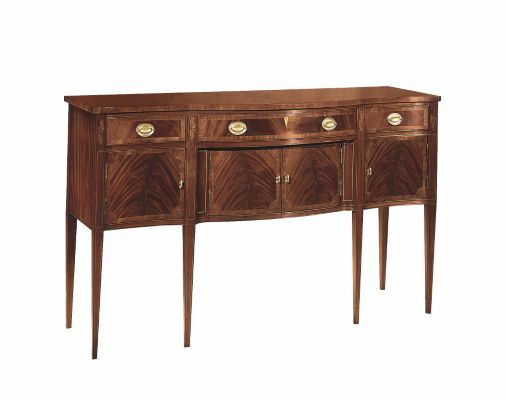 We were going to place this in our dining room (to the right) but I like the idea of making the a little bar on the top of it (pretty tray with decanters) and it makes sense to have it near lounge chairs (ha, the lounge chairs that don't exist yet). PLUS I was sold on the idea of adding sconces (there isn't any overhead lighting) but now I can just put lamps on the sideboard and the outlet is controlled by a light switch so that works out. I am a HUGE fan of craigslist. You just have to know how to search correctly. Always filter to read "furniture by owner" and be specific on brands like Hickory Chair, Baker, Henkel Harris, etc. If you just type in "sideboard" you are going to see crap. Most people sell quality casegoods on there because they are either moving or downsizing. So excited to finally have a place to store my china! Woohoo! Looks great! I had a piece like that before we moved into our new house. I have a mirror that matched it that is sitting in our garage.